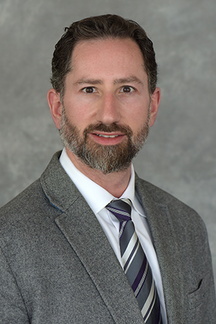 David Satin, MD, is the department compliance officer and risk management leader. He also serves as faculty in the University of Minnesota Medical Center Family Medicine Residency, teaching and advising medical students. He completed a postdoctoral fellowship at the University of Minnesota Center for Bioethics and researches ethical issues in performance-based quality improvement incentive programs (visit his online Pay for Performance Research Clearinghouse). Satin sits on several AMA workgroups, designing performance measures for CMS. Dr. Satin combines his interests in Bioethics, Quality Improvement, and Healthcare Finance in his roles as a course director in the medical school, a researcher, and frequent national speaker. Within the State, he chairs the Risk Adjustment and Segmentation Committee of Minnesota Community Measurement, serves on the University of Minnesota Medical Center’s Medical Executive, as well as on the Boards of Stratis Health and the Minnesota Alliance for Patient Safety. He was recently appointed to the Minnesota Department of Health’s Statewide Quality Measurement and Reporting System Steering Team. Ethics of Pay for Performance especially risk-adjustment for social factors, Informed Consent, and Shared Decision-Making, Medical Education, General Bioethics. “Quality Measurement Enhancement Project.” Health Disparities Pilot Grant, University of Minnesota. “p4presearch.org – A Clearinghouse for Physician Education About Pay for Performance.” Minnesota Academy of Family Physicians. MD Pre-matriculation Exposure to Pharmaceutical Marketing: Too Much, Too Soon? Society of Teachers of Family Medicine Foundation. Hardeman R… Satin DJ… Cunningham BA. Developing a Medical School Curriculum on Racism: Multidisciplinary, Multiracial Conversations Informed by Public Health Critical Race Praxis (PHCRP). Ethnicity & Disease, 2018 Aug 9;28(Suppl 1):271-278. Satin DJ, Swenson S, Stovitz SD, Effectively Engaging Patients in Everyday Health-Care Decisions. The Journal of Family Practice, Oct;66(10), 2017. Stovitz SD, Shrier I, Satin DJ. Shared Decision Making Regarding Aspirin in Primary Prevention of Cardiovascular Disease (Comment). JAMA, December 6, 2016; Volume 316, Number 21. Manson H, Satin DJ, Nelson V, Vadiveloo T. Ethics Education in Family Medicine Training in the United States: A National Survey. Family Medicine, Vol. 46, No.1: 28-35, January 2014. Miller JR, Larson BE, Satin D, Schuster L. Information-seeking and decision making preferences among adult orthodontic patients: an elective health care model. Community Dent Oral Epidemiol 2011; 39: 79–86. Schwab AP, Satin DJ. The Realistic Costs and Benefits of Translational Research (Including Quality Improvement and Pay for Performance), American Journal of Bioethics, Volume 8, Issue 3, March 2008, p. 60-62. Satin DJ. More Realism About Informed Consent. The Journal of Laboratory and Clinical Medicine. 2005;145:292-4. Stovitz SD, Satin DJ. Ethics and the Athlete: Why Sports are More Than a Game but Less Than a War. Clinics in Sports Medicine, 2004;23:215-225. Satin DJ, Miles J. Performance-Based Bundled Payments: Potential Benefits and Burdens. Minnesota Medicine, October 2009.